She has beautiful fine fawn fleece with a very long staple length. She has great conformation and a lovely face. 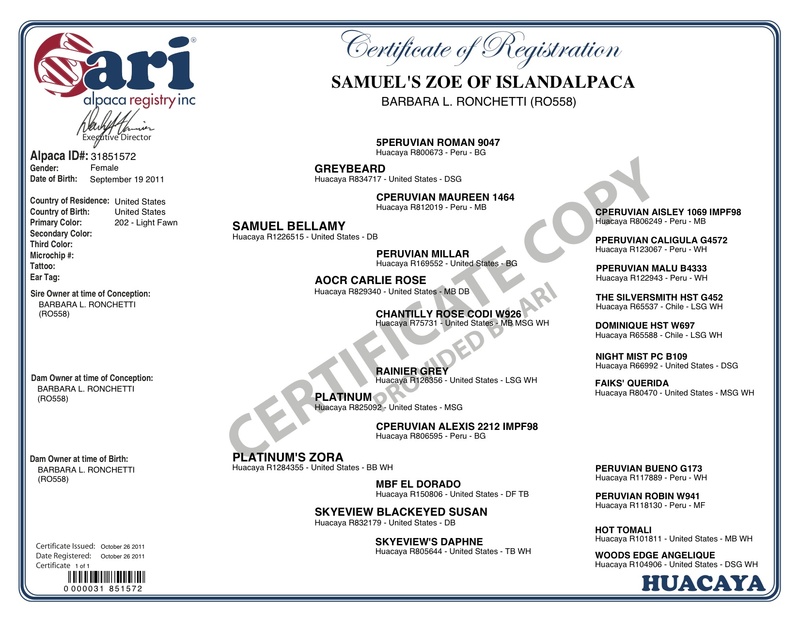 Her dam is Zora who has great grey genetics and her sire is our very own Samuel Bellamy who also has very strong grey genetics with his sire being the famous 8x Champion, GreyBeard! Zoe's granddfather is Platinum. With these amazing genetics Zoe has a great chance of having a grey! Zoe is a very sweet girl who is very curious of her surroundings. She's very easy to handle and will stand nice and still. 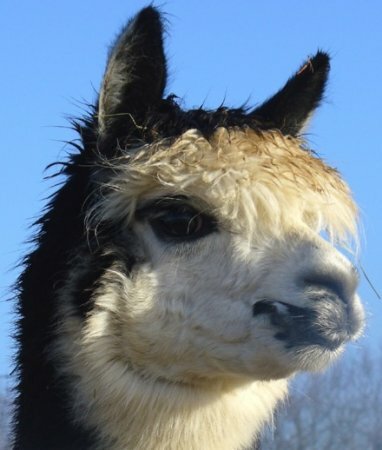 Zora, who got her name thanks to the mustache-like marking on her mouth area that reminds us a lot of Zoro, the movie character, has beautifully dense fleece (Nearly 5% of body weight) incredible top-knot strong body, and markings with tremendous character. 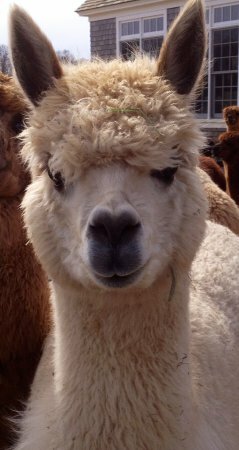 She is one of our most photogenic alpaca: she always seems to be wearing a smile!Her fleece character is consistent throughout, with a high-frequency crimp, and a nice level of luster. 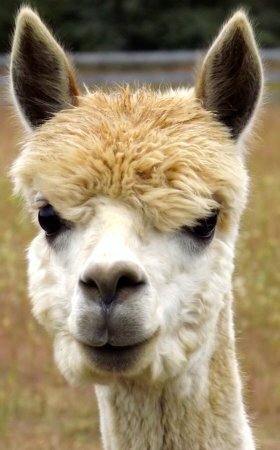 She has a very lively personality too, one of the more social alpaca at the farm. She has outstanding heritage from the Bueno/El Dorado line. If you are looking for a beautiful medium-grey, look no further! Zora gave us her first cria, Rosa Bella. Zora has been the most attentive mom to Rosa, but not over-protective. Enough attention, but not too much to allow Rosa her independence. 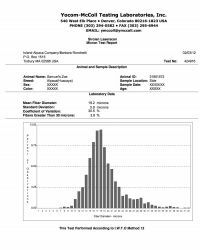 Rosa Bella is very dense, fine with tremendous coverage, with consistency throughout. Samuel is a fabulous male! 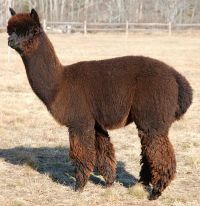 He has tremendous presence and incredible fleece characteristics. Not surprising, as he was sired by GreyBeard, a 8x Champ. 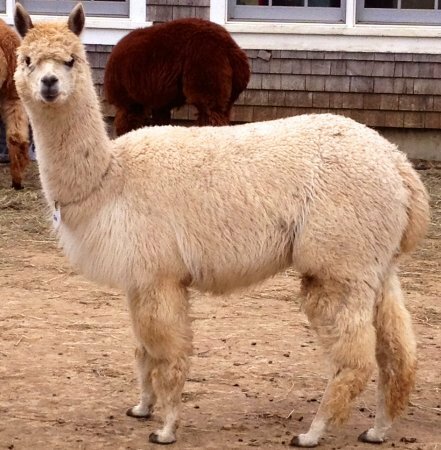 He is extremely dense with his fleece to body weight nearly 6 percent! His phenotype is spot on and he is nicely thick boned. He has excellent staple length and crimp to boot. He would make a great addition to any farm with his curious and protective nature.